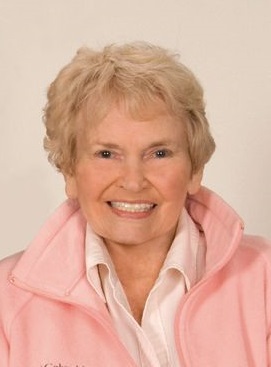 On Tuesday, April 2, 2019, Norma Lenore “Lee” Eckert, a loving mother and wife, a Logansport business woman, watercolor painter, radio host, and community member, passed peacefully in Portland, Oregon, after a long and colorful life. She leaves behind a wonderful past, full of memories of her family, friends and community. Lee was born April 5, 1925, in Indianapolis, Indiana and raised in Irvington by Alonzo and Nellie Walker with her brother, Lon “Bud” Walker. She married Russell A. Eckert in 1947, both graduating from Indiana University. Lee was a member of the Chi Omega women's social Fraternity. Lee and Dr. Russell A. Eckert, moved to Logansport and there raised their four children, Cynthia, Scott, Todd and Drew (deceased 1979). Lee was active in Logansport art, historic and civic organizations, including Tri Kappa, the Indiana women's philanthropic organization and the Episcopal church. Her “green thumb” led to the creation and maintenance of beautiful gardens around their Logansport home. Lee was the proprietor of The Basket Shop, a unique and friendly shop located in an old brick carriage barn on the grounds of the family home from the mid-1970s until closing the shop in the 1990s. Flower arranging was a favored hobby and people loved for Lee to combine those arts with her baskets. She and her husband had a great many friends in Logansport from all walks of life. They loved to entertain and many in Logansport enjoyed the Halloween and holiday events. Russ and Lee also loved to travel, especially to Florida, England, the South Pacific, and the Caribbean. In 2011, she moved to Indianapolis to enter assisted living and memory care, followed by a move to Portland, OR in 2015, to be near her two sons. Her final four years were spent on the lovely campus of Oatfield Estates, overlooking rose gardens and a view, through old growth trees, to Mount Hood. She was known for her ready smile and beautiful singing voice. Lee is predeceased by her husband, Russell, her son, Drew, and her brother, Lon Walker. She is survived by daughter Cynthia Hansen (Niels) (Atlantic Beach, Florida), sons Scott (Nancy) and Todd (Marie) (Portland, OR), five grandchildren, and three great grandchildren. The family also wishes to thank staff at Oatfield Estates for their loving care in her remaining years. Visitation will be on Thursday, April 11, from 11:00 a.m. to 12:45 p.m. at Kroeger Funeral Home. The funeral service will be at 1:00 p.m. at Trinity Episcopal Church, across the street from the funeral home. Rev. Clark Miller will officiate. Interment will follow in Mount Hope Cemetery next to her son, Drew. Memorial contributions may be made to the Logansport Memorial Hospital Foundation, 1101 Michigan Avenue, Logansport 46947, Envelopes will be available at the funeral home.